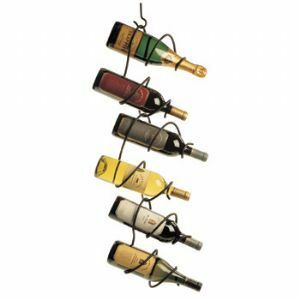 Hang and store your favorite wine bottles in a stylish way. 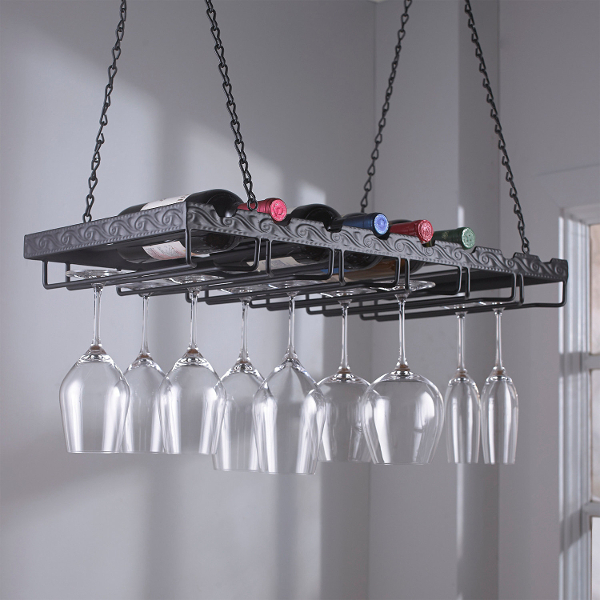 Hanging wine bottle racks are eye-catching in any kitchen or home bar setting. These unique wine racks save space and keep bottles in easy reach. Most racks can hold 4-8 bottles of wine. 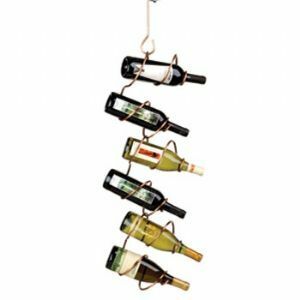 Decorate in vineyard style with bottles of wine ornately hanging in a home, bar or restaurant setting. 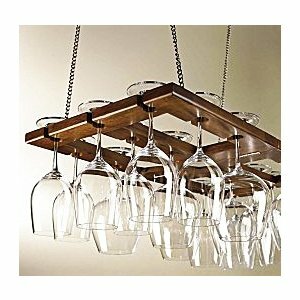 These unique wine racks are rustic or modern depending on your selection of wood or metal construction. 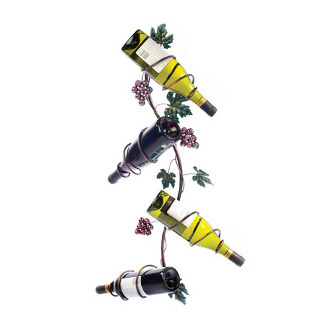 Bring your home to life with vineyard inspired wine displays. Wine lovers can easily create an uncommon centerpiece over a table or kitchen island. 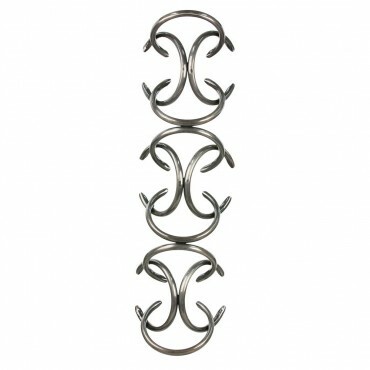 Our selections compliment wine connoisseurs with decorating styles from modern/contemporary to shabby chic/western decor. Each rack can easily be suspended from a ceiling or mounted on a wall bracket.